Your child's early experiences at the dentist can help shape the future of his or her oral health. Learning to properly care for their teeth will help your child establish good oral hygiene habits to continue into adulthood. We recommend commencing regular dental visits while your child is a toddler. You may consider scheduling their visits just after your own, so that your child can become familiar with us. Our team at Lyneham Dental Care will work with you and your child to ensure your child's visit to the dentist is welcoming and a positive experience. Everyone has grooves in their biting surface of molars. These grooves are called fissures. On some teeth the fissures can be deep and/or narrow making them difficult to clean. In these circumstances your dentist may recommend using a fissure sealant which involves adhering a plastic coating over the fissure to prevent the build-up of decay-causing bacteria. Identifying problem fissures and treating them early (preferably during childhood) can prevent decay and the need for fillings at a later stage. Mouth guards are important to shield the mouths of people participating in any activities with a risk of mouth injury. Mouth guards are critically important in protecting your child's gums, jaws and teeth that are still developing, and are compulsory in many sporting codes. Lyneham Dental Care can customise a mouth guard for you or your child in a variety of colours. The Child Dental Benefits Schedule (CDBS) is a dental benefits scheme which gives eligible children access to up to $1000 in dental benefits per child for two consecutive calendar years. 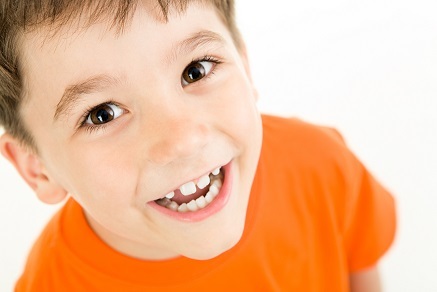 Lyneham Dental Care currently provides bulk billing for children eligible for the Child Dental Benefits Schedule. If your child is between the age of 2 to 17 years and your family receives the Family Tax Benefit Part A or your child receives an Australian Government payment, please contact Medicare to check your child's eligibility. Our friendly team can assist you with any enquiries. Contact us today.